Get expert advice about support payments from your alimony lawyer in Montclair CA. 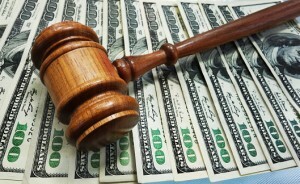 Alimony orders are most often included as part of a divorce or separation agreement. However, alimony may also be ordered in cases where a domestic violence restraining order has been issued. Regardless of the reason you are now concerned about alimony, you can turn to Torrence L. Howell for help. As an alimony lawyer in Montclair CA that also has extensive experience in all kinds of family law issues, he can use all the strategies at his disposal to make sure you get the fairest possible support order in even the most complicated case. How Much is Enough When it Comes to Alimony? Transitional Alimony: May be awarded when the supported partner needs a one-time payment to help them move, buy a new car, or complete some other task that will enable them to transition to a separate household. Rehabilitative Alimony: Monthly payments awarded for a set period of time (typically up to half the length of the marriage) to allow a partner to develop marketable skills and become self-supporting. Lifetime Alimony: If spouses were married 10 years or more, truly permanent alimony may be ordered. Monthly payments will continue until the supported spouse remarries or the spouse paying support passes away. Whichever side of the alimony equation you may be on, you will need a dedicated alimony lawyer in Montclair CA on your side to make sure the facts of the case are presented correctly and your receive a fair and appropriate alimony order. Alimony orders can be changed when necessary, to reflect new financial realities in either party’s life. Your alimony lawyer in Montclair CA can help you understand when modifications may be in order and file the necessary paperwork for you. If you’re ready to fight for your right to a fair alimony agreement, it’s time to get Torrence L. Howell on your side as your alimony lawyer in Montclair CA. You can learn more about Attorney Howell by calling (909) 920-0908 to set up a free initial consultation.